Easter holidays are just around the corner. You surely picture all the traditions including hiding and coloring eggs, etc. But how is Easter celebrated in different parts of the world? Every year a carnival takes place in the Caribbean islands. Easter starts a week earlier and is full of parades and exotic masks. People dance in the streets, sing along and celebrate. 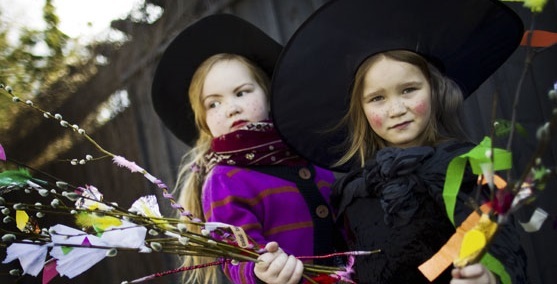 Finnish children for example dress up like witches and go from one door to another. It sounds like Halloween with the famous "Trick or Treat" phrase. The kids get candy as well, but what more, the candy comes with a little decoration on top of it! Bonfires are often to be seen in many places across Finland during the Easter Sunday in order to scare off the witches and boogeymen. Along with traditional church visit, there's also a bit of more dramatic tradition – Crucification of Jesus Christ. 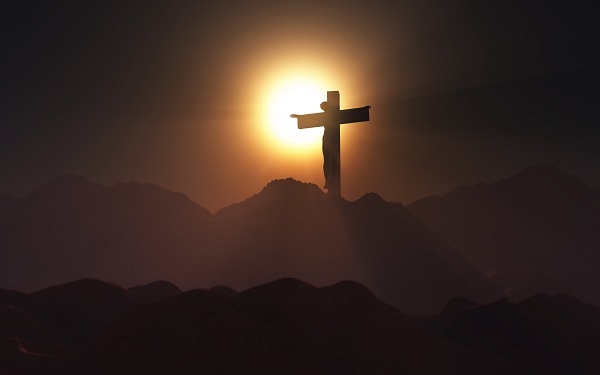 This "play" reminds us of his suffering and this event has all the stuff real crucifixion had. The process, whipping, carrying the cross .. that's all just a beginning. This ritual full of blood has annually many volunteers willing to be crucified by other Filipinos, who show up dressed up as Roman soldiers. These guys put real nails into hands and feet of the crucified. Crucified volunteers stay on the cross until they're sure they've got rid of all their sins. Many participants have afterwards said they hadn't felt depressed anymore. Really brutal purification, mass psychosis or valuable cultural heritage as considered by orthodoxly Catholic Filipinos? The church itself isn't a supporter of this tradition, quite the contrary, they consider it a faith devaluation. Nevertheless, this tradition attracts tourists, so the event has often thousands of viewers. Many of them even cry. Our recommendation? If you desire physical and emotional purification, you can skip the crucifixion. Spring detox, a bit of motivation and you're good to go. You know what they say, a good spring perfume can do miracles and perfectly lifts up your mood! Even though it's not as brutal like in the Philippines, people in Norway also like to enjoy some Easter drama. Since 1923, reading detective stories has been one of Norway's Easter traditions, Norwegians call it "Paaskekrimmen" and during this time of the year, you can find many latest detective stories in the bookstores as well as many crime stories on TV. Kite running happens to be a favorite tradition for people living in Bermudas during Easter time. This should remind the assumption of Jesus Christ. People also compete who builds the best kite. What's your opinion? Will you let yourself be inspired by some foreign traditions or will you create your very own tradition? You can try for example hiking – for which are perfect Casio G-Shock or women's Casio Baby-G watches, suitable for extreme conditions. Or do you rather ride your biycle and let our self be amazed by watches especially made for this activity? Festina Chrono Bike watches are handy not only during the spring season. Own traditions or not, don't forget to visit your relatives and enjoy some quality time spent together in peace. Have the happiest Easter, guys!